Liverpool star Mohamed Salah has won the Professional Footballers’ Association Player of the Year award for 2017-18. The Egyptian international beat Kevin de Bruyne, Harry Kane, Leroy Sane, David Silva and David de Gea in the vote by his colleagues in the English top flight. Manchester City’s German winger Sane won the young player award, while Chelsea’s Fran Kirby won the Women’s Player of the Year award. 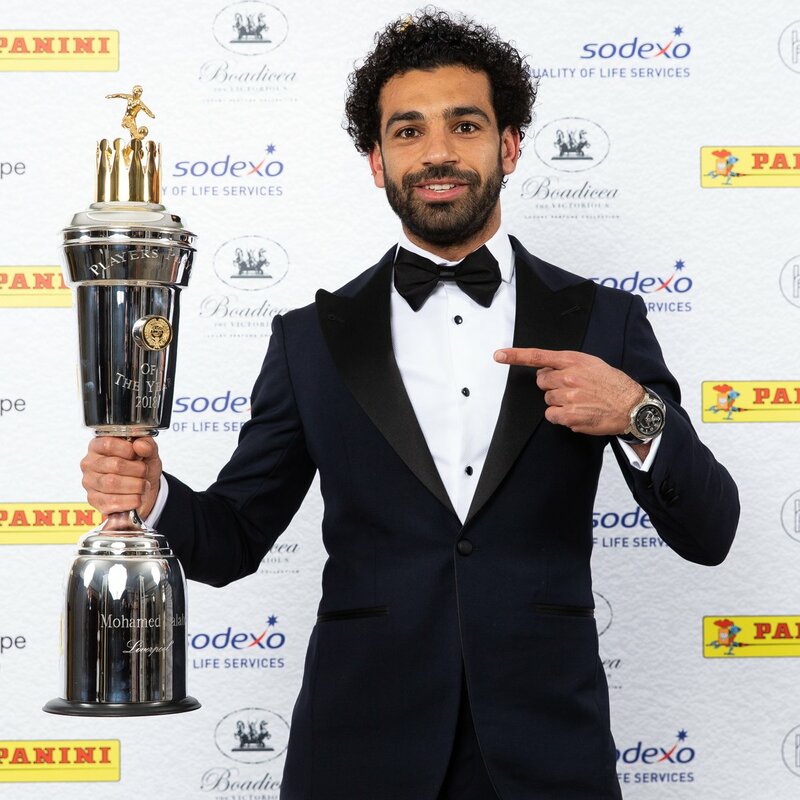 Salah, the first Egyptian player to receive the award has been in scintillating form as he grabbed 41 goals in all competitions for the Reds in his debut season helping the Merseyside club reach the semi-finals of the Champions League by beating Premier League champions Manchester City and secure his team a likely top four finish with four games to go. The Egyptian captain has broken a number of records in his amazing run in the season so far. “It’s an honour and especially as it’s voted by the players. I am happy and proud,” 25 year old former Chelsea player Salah said about the prestigious award. Liverpool’s German coach Jurgen Klopp who brought Salah to Anfield from AS Roma said he was “happy to have the opportunity” of being Salah’s manager and added it was an “unbelievable honour” to win the award. “I think this award, you are voted for from all the other players in all the leagues in England, is an unbelievable honour so you can be really proud and your family can be really proud. “On behalf of the LFC family, again, congratulations. It was a fantastic ride so far, but you know we have still a few yards to go. With the best wishes for your future here at LFC, [from] your manager. “And now, please grab the trophy and come home – we play on Tuesday! See you then.” The former Borussia Dortmund coach added in an emotional reaction to the award news. Salah has earlier won the 2017 BBC African player award of the year. So far in the premier league Salah has scored 31 goals in 33 appearances for Liverpool and leads the race for the golden boot in Europe. This is the third consecutive year a Muslim player wins the best player award in the English Premier League. Last year Chelsea’s French midffielder N’golo Kante won the award and in 2016 it was won by Leicester City’s Algerian play maker Riyad Mehrez.